I know it is technically still pedicure season, but my toes are looking a bit ragged. When this happens I look for summery shoes that keep my piggies covered. 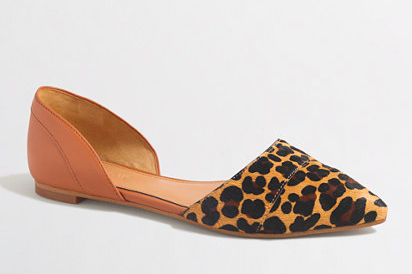 For this summer, I love the d'orsay flat because it's funky while keeping my feet cool. 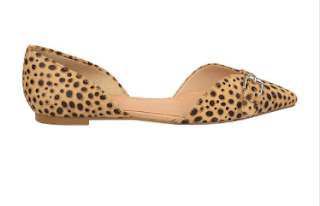 Today we're looking at some flashy leopard options. These shoes are great for work or play and the stitching on the toe is subtle. I was so happy to find that these were not girls shoes. How cute are these? So simple. I'm wearing these through the fall with skinny jeans. So unexpected with a pencil skirt or suit. Easy and a bit sassy. Step up your flat game with these d'orsay leopard options. A bit of pattern but wear them as a neutral. Have fun with patterns and colors.